In the aftermath of Carlos Ghosn's recent arrest amidst allegations of financial misconduct, Nissan announced that they have removed Ghosn from the position of the company's chairman. In response, Mitsubishi too initiated an internal probe against Ghosn, and on Monday, the company's board released an official statement on their website stating that Carlos Ghosn has been removed from his position as the chairman of the board until further notice after a unanimous vote in favour of his removal. In his absence, the board has temporarily appointed current CEO Osamu Masuko as the board chairman until the company's next general shareholders meeting. It has indeed been a rapid descend for Carlos Ghosn and his reputation in the automotive industry. 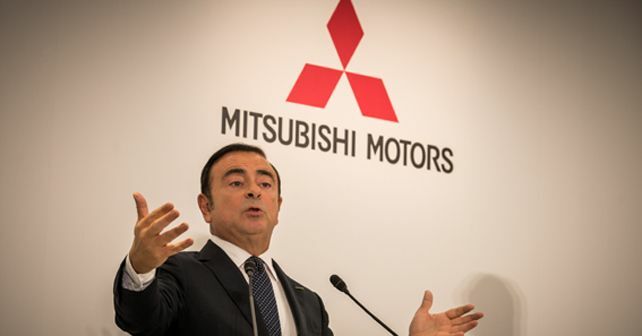 An erstwhile revered visionary in Japan, where Nissan and Mitsubishi together employ more than 50,000 people, he has been credited for turning the fortunes of companies like Nissan, Renault and Mitsubishi through the alliance of the three brands. With Ghosn's ouster from Nissan and Mitsubishi, all eyes are now on the third member of the alliance, Renault. Renault has opted for a different approach to deal with the matter, as they have appointed an interim Cheif Executive but have allowed Ghosn to retain his CEO and chairman title.